If you do all your chatting on your cell phone, you may think of cordless phones as a bygone relic of technology. 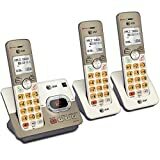 In actuality, however, the cordless phone is still a very useful device, particularly for elderly or disabled persons who may have difficulty using the tiny buttons on a compact mobile device. As technology has evolved over recent years, the cordless phone has evolved as well, and is now a better product than ever before. 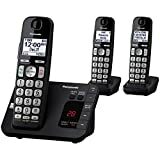 You can purchase a cordless phone these days which includes all kinds of fantastic features never available on cordless phones ten or fifteen years ago. Thinking of buying a cordless phone, but not sure what you need? Our comparison table can help you to decide on the right phone for your needs. If you still are not sure what to buy, read on to learn all about cordless phones and what factors you need to consider when you are shopping. The cordless phone is an evolution of the original corded phone. Instead of a cord, the handset communicates with the base station by way of a radio signal. Unlike a cell phone, the range on a cordless phone is restricted, and generally will only work within or near the same building. 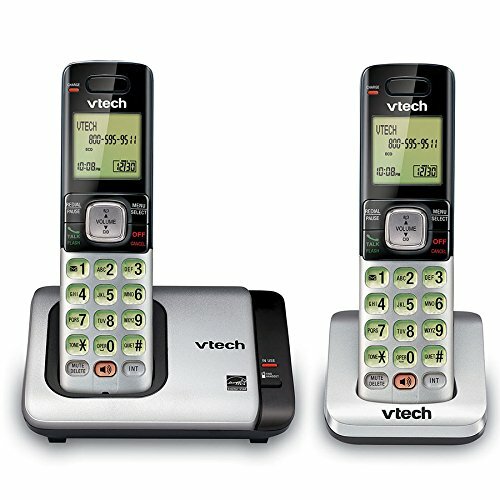 Is the cordless phone for someone who is visually impaired? If so, search for a cordless phone which includes a large, bright LCD screen with high contrast text. 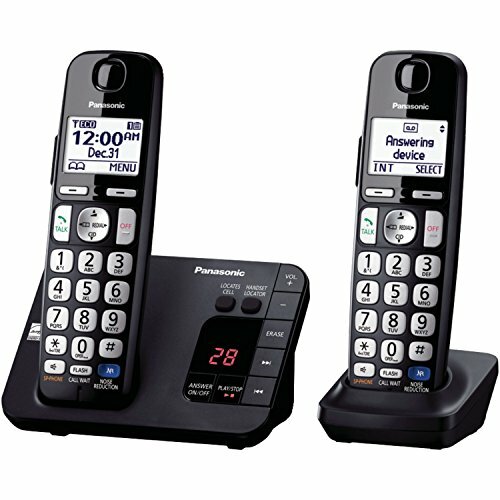 Many cordless phone systems can be expanded with additional handsets. That way each member of your household can have their own handset. All will communicate with the base station. Because cordless phones have a limited range, you will need to shop for systems with a longer range if you happen to live in a large household or want to be able to use the phone outside in your yard. An answering machine is a standard feature on most cordless phone systems, but there are some specifics to pay attention to. How many minutes long can each recorded message be? What are the options for instant playback, saving and deleting, skipping and repeating? Some systems now also have the ability to send a message to a cell phone to alert you if a message is recorded on your home answering machine. You may even be able to play it over your cell phone, so you do not have to wait until you are home to hear it. A Caller ID feature lets you know who is calling so that you do not pick up on unwanted calls. Call Waiting tells you if someone is trying to phone you while you are in the middle of another call. Some cordless phones have advanced Caller ID systems which include voice notifications. The system will tell you who is calling verbally so that you do not have to get up and check the LCD display. This is great both for accessibility and simple convenience. What if there is a power outage while you are in the middle of a call? So you do not get cut off in the middle of your conversation, you should look for a cordless phone which includes battery backup power for the base station. If you have a Key Detector, you can buy a cordless phone which is compatible with it. This will allow you to use your cordless phone handset to activate the beeping alarm on your Key Detector. You can then locate the missing keys (or other item) just by listening for the noise. When you are talking close to the base unit, the phone does not need as much power to operate. Some cordless phones feature an eco-mode which will reduce the power when you are near the base station; that way you will not chew through battery power as quickly. Look for the “Energy Star certified” stamp. If you are purchasing the cordless phone for a user who is hearing-impaired, you can look for a model which is compatible with hearing aids. Another great feature for the hearing-impaired is a speakerphone. This is standard with most cordless phones, and allows you to put the phone down and listen to the audio through a speaker which is either in the handset or in the base station. This also allows others in the room to participate in the conversation. Speakerphone quality nowadays is better than it was when cordless phones were new, but still can vary a great deal. So if this feature is important to you, you should check customer reviews to see if the audio quality will be a fit for your needs. Speaking of audio quality, another useful feature is enhanced noise reduction. This feature will screen out background noises in your environment and that of your caller while also enhancing the quality of the voice of the caller. This makes it easier for you to hear them, and makes it easier for them to hear you. There may be times when you do not want to hear the phone ringing, like when you are watching a movie or when a baby in the house is trying to sleep. Silent mode allows you to switch off the ring tone on your cordless phone and replace it with another indicator for a call, like a flashing light. You now know what features are most important to look for when you are shopping for a cordless phone. Scroll back up to the top of the page to take a closer look at our comparison chart, and you will be well on your way to finding the perfect cordless phone for your home! 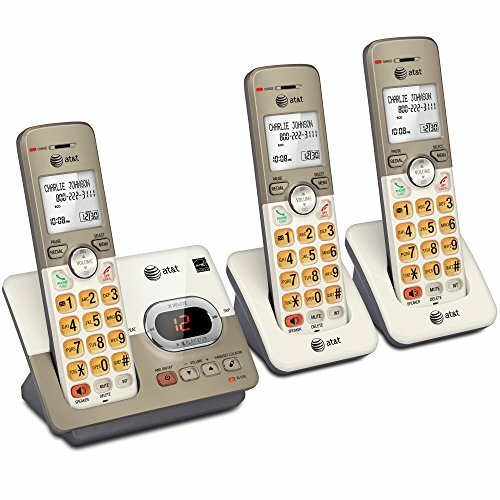 The EL52313 from AT&T has all the basic features that you’d expect in a cordless phone. Elderly people love it because it’s simple, familiar and easy-to-use. It’s also got an ample screen with large sized fonts and a caller ID display. Another nice thing about this phone is that its oversized buttons are backlit and easy to push in the dark. Caller ID. Block out prank callers and scam artists with ease. Easy to use. Just pick up the phone and dial. No static. Crisp, clear communication. Big backlit buttons. Stop making mistakes when you dial phone numbers. Light weight. This phone is made out of heavy duty plastic, but it’s also very easy to lift. No frills. No confusing or unnecessary features– just the basics. Good range. You’ll be able to speak and be heard, even if you walk outside. Though the phone itself is quite thick and sturdy, the thin plastic wall mount chips and cracks easily. If salesmen, robots and political pollsters are always ringing your phone off the hook, you need a phone like Panasonic’s KX-TGE232B. It’s a handy Caller ID compatible phone that’s equipped with convenient “black list” feature. The next time an unwanted caller bothers you in the middle of dinner, just add them to the list and you’ll never hear from them again. Uses standard rechargable batteries. Most cordless phones require special batteries, but this one works with the kind you can buy in the store. Still works during blackouts. Make emergency calls even after the lights go out. Big display. This phone has a screen you can read without squinting. Caller ID. Get the facts about the person on the other end of the line before you pick up. Blocking calls is a cinch. Easily add up to 250 different numbers to your block list. Set a “silent mode” time period. Mute your phone during certain times of the day or night. Expandable. Add up to 5 additional handsets. You can’t rearrange the order of phone numbers once you enter them into this phone’s memory. This budget, sensible phone has only the features you care about. It has Caller ID to help you avoid unwanted callers and salesmen. It also has high quality DECT 6.0 compliant components that deliver high quality audio. 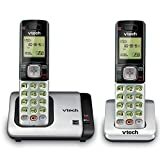 There are other cordless phones out there that are fancier, but if a plain-and-simple phone will suffice the VTech CS6719-2 is all you need. Crystal clear audio. This DECT 6.0 compliant phone features top notch sound quality, plus it automatically avoids static noise and interference. Good range. Works just fine, no matter where you go in or around your house. Voicemail. Collects messages when you’re not around. Different ringtones. If you don’t like the default tone, pick a different one. Caller ID. Tells you who’s calling before you pick up. Amazon bestseller. The CS6719’s “no nonsense” design and low price point has helped it beat the competition. Light and durable. This solid phone is built to survive pets, children and accidents. The lettering on the display is small. People with Bad vision might find it hard to read.